Never been to Chennai before and not quite sure what to expect? Sure you’ve heard of the beaches and big breakfasts with filter kaapi, but what else is there you must see in this lovely city? 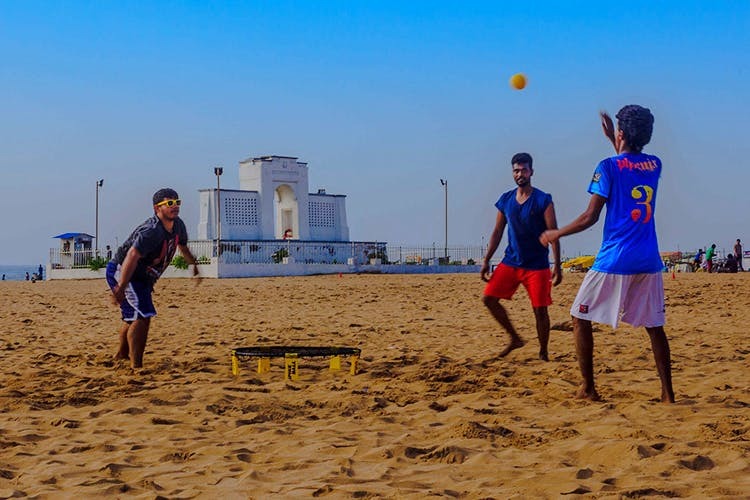 We think there’s something for every kind of personality and we’ve put together a list that will hopefully cater to your quirks and let you explore everything namma Chennai has to offer, here we go! Sathyam Cinemas is iconic. And for good reason too. They’ve always been pioneers in creating a great atmosphere for their patrons, whether it’s their amazing popcorn (butter, caramel or cheese?) or cool initiatives like free sanitary napkins or the DND movie experience. They even have a cool food truck you can read about here and check this out if you want to do something other than catching a movie. The city is brimming with plays, music concerts and comedy gigs all through the year and you can catch them at venues like Sir Mutha Venkatasubba Rao Concert Hall in Chetpet, Museum theatre in Egmore and The Music Academy on TTK Road. The Mylapore Festival that happens once a year features tons of art workshops, food walks and concerts you don’t want to miss. Oh and come December and witness Margazhi Chennai’s biggest music and dance festival – 3,000 concerts in 75 sabhas across the city over a period of one and a half months! Love animals? Why not do your bit to help out? Attend Turtle Walks that are conducted at night, which is when the Olive Ridley turtles are said to nest from November to February. They are run by the long standing Student Sea Turtle Conservation Network SSTCN and is open to the public on weekends. And the best part? It’s free! You could also volunteer at one of the many shelters in the city (read more here), drop in to this doggy cafe or discover fascinating wildlife in and around the city here. Craving your daily dose of Vitamin Sea? You’ve come to the right place. We love Marina of course not just for being the longest beach in the country but also for its local food vendors like Sundari Akka Kadai and more. Bessy is also one of our favourite hoods in the city for cheap food, cute cafes and tons of beach activities like Ultimate Frisbee and more. But if you prefer solitude during your beach time check out these less crowded beaches. Yes, yes. The filter coffee here is epic and you can check out our list of places here for a tumbler of frothy goodness. While many roadside shops serve fantastic, cheap coffee, if you’re looking for soul warming tea, we particularly love the Ginger Tea from Chai Kings ( perfect with a side of egg puff on a rainy day). If you fancy yourself some High Tea options check out Lloyd’s Tea House, The Flower Power Tea Room and The English Tea Room. The décor is just… fabulous! Hey Chennai does have a pretty good nightlife okay? We love spending our Saturdays sipping on Pina Coladas and Milo cocktails at Radio Room ( the crowd is pretty good too, so put on your best dress here peeps) and dancing the night away at QBar at the Hilton. But there’s some cool new pubs like Off The Record and Glee to check into. For more places to dance at check out our list here. Cotton Street is a great place to pick up fabrics that come in quirky prints and great prices. We also heart SS Fashions in Bessy for the same. Speaking of, Bessy is great for budget finds, check out our list here. Sowcarpet too. And if you love haggling take a look here for the best places to go street shopping. Want to read a good book? Choose from the racks and racks at Anna Centenary Library (that has 8 floors peeps!). There’s also the Madras Literary Society where you can adopt a book (read more here)! Want to meet like-minded bibliophiles? Join this book club or actually meet “books in person” courtesy this human library. We’re particularly fond of this library that operates out of a garage and Nalini’s book shop called Giggles. We hear that she is moving out of her current space at Taj Coromandel but you can check out what we loved here. Guys, let’s be real. This one deserves a whole listicle to itself but I’ll try to squeeze in as much as I can. Check out this list of 10 iconic dishes in Chennai you must try and budget street for under INR 50 here. We love Mint Street and Mylapore for great street food. The lassi, jalebis and samosas are out of this world at Bombay Lassi. You must try delicious rose milk and bhajjis in Mylapore and seafood, potato crisps on a stick on the beach. For food under INR 100 at Bessy, go here.